The Matinee ’18 August 21st edition is full of musical delights, which will give you the buzz of a dozen espressos. But unlike the caffeinated drink, these nine songs will leave you on a high all day and maybe all week. We travel to Japan, Turkey, Scotland, the USA, and Australia for today’s mini-playlist. Despite our attempts to showcase talent from across the globe, we often miss quite a few, particularly if they come from eastern Europe or the western expanses of Asia. One such individual is Istanbul-born Başak Günak, who is a sound engineer, producer, and multi-instrumentalist. She’s already released one album under the moniker Ah! Kosmos, and her sophomore record is only six weeks away. 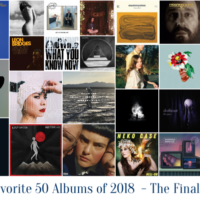 To describe her music is as difficult as articulating a Salvador Dali painting – it’s complex and eclectic, full of bright and dark colors, and imaginative. Her music is left for interpretation, where people will be affected differently. That is the nature of great art, and her new single with guitarist Özgür Yılmaz is just one example of her talent. Where does one begin when describing this song? It is part African blues and part cosmic psychedelia. Yılmaz’s riffs paralyze you, Günak’s production work leaves you enchanted, and their mysterious vocals are hypnotic. The entire experience is akin to participating in the most mesmerizing séance, but instead of speaking to the spirits that linger in the room we call out for our true selves to arise from within the chasms of our souls. This majestic song will enliven you. The single is taken from Günak’s forthcoming album, Beautiful Swamp, which drops October 5th on Compost Records. It’s not too often we come across a song that is continuous if put on repeat. That is, if we spun it over and over again, the track would never end. Now this could be really problematic if the song wasn’t very good, but it is awesome when it’s as catchy and cool as “Terrible Voices”, the new single from Tokyo-based artist Cream with a K.
For those who follow the Japanese music scene will know that Cream with a K is the alter-ego of Lee Tatlock, who once performed with the now-defunct (or possibly on indefinite hiatus) Japanese pop band NEKO PUNCH. 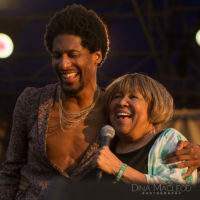 When they called it a day, Tatlock immediately launched her solo career and released “Terrible Voices” way back in 2016. The track, though, is getting a new life as the London native expands her sights to other parts of the globe, and it is a wonderful introduction to her glitchy grunge pop. The stuttering yet groovy and addictive melody is reminiscent of Nite Jewel and Computer Magic, which, consequently, causes involuntarily spinning and whirling. There’s more edge, however, to her sound thanks to the reverb-drenched bass and the chiming guitar that splash throughout the track. Not every artist can master the art of combining mood-swaying pop with edgy alternative, yet Tatlock has done just that. The combination is also perfect for her story about the voices, thoughts, and ideas that fill in her mind and the “terrible people in my bed”. Cream with a K’s self-titled, debut album is already out in Japan via Tower Records. It will be self-released worldwide later this year. 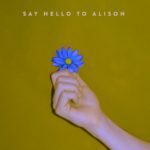 “Say Hello to Alison” is part of The Dig’s continually expanding Spotify playlist called “El Dig: A Year of Music.” It will include all 12 tracks from their two new EPs – Moonlight Baby, which is already out and available on Bandcamp, and Afternoon with Caroline, which will be released October 19th. The most excellent Roll Call Records is releasing both. “Here we are, together in the morning light. “Alison, say hello she sees the world without her clothes. So say hello to Alison”. The new father also gets everything stolen out of his car while parked at the hospital and “it doesn’t matter at all”. The Dig continue to release track after track of unforgettable indie pop/rock. The Dig are David Baldwin (guitar/vocals), Emile Mosseri (bass/vocals), Erick Eiser (keys/guitar), and Mark Demiglio (drums), and they have a few upcoming West Coast dates this fall. We’ve been on The Dunts‘ bandwagon for about a year because they’re the rare band that mixes high-energy, raucous indie rock with awesome and imaginative storytelling. 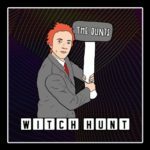 Check out “Dimitri”, but only after spinning “Witch Hunt”. Before you hit play, make sure you’re in a very spacious room and all sharp objects are safely put away because you just might find yourself dancing and popping around. The energy in the track is addictive, and the ferocity is relentless. The drums explode, the bass line throbs, and guitars burst like fireworks on Guy Fawkes Day. Front man Rab Smith, meanwhile, delivers a fantastic tale about a guy named Johnny who is a one-man vigilante who tries to expose the liars and crooks in his town. He’s armed with a camera and a computer, so he can show the world all the fakes and sleazeballs that exist. But is he revealing the truth or creating a film that distorts it? This is a little puzzle the band have thrown in to demonstrate that not everything we see is factual. We can say for certain, however, that The Dunts are one awesome outfit that everyone should know. Rab Smith, David McFarlane, Kyle McGhee, and Colin McGachy are The Dunts. Their new EP, Self Proclaimed Council Punk, is due out soon (possibly before the summer is out). Fishing in Japan is a band from Dallas, TX. “Here for You” was recently released by the quartet. After listening to the lyrics, it takes you back to fiercely defending and being by your best friend’s side (possible love interest in this case) no matter what. After learning the band members are all in high school, it makes even more sense regarding the struggles and scenarios that are happening to teens today. Fishing in Japan originally began as a joke only in March of this year by high school friends Wolfgang Hunter and Landon Headstrom. With the band’s first track (“Constantinople”) gaining traction on SoundCloud with over 10,000 spins, they have since expanded to Spotify and even released a video for their newest track. 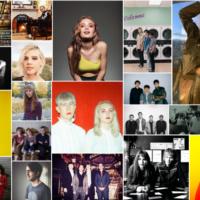 With each new release from the band, we are hearing awesome lo-fi indie pop. The band has something special with unforgettable vocals from Mr. Hunter as well as dreamy chord progressions from Mr. Headstrom. Some of their singles have explored a bit more of a synth pop vibe but their overall sound is definitely radio ready. 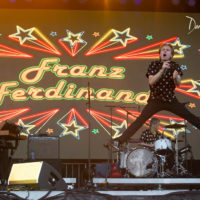 The band’s original goal was to “drop out of high school and make millions by means of indie pop songs.” That goal is not entirely out of the question with their talent apparent and they have not even graduated high school yet. 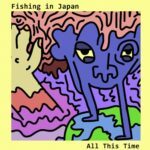 Fishing in Japan are Wolfgang Hunter (vox, guitar), Landon Headstrom (guitar, synth), Matthew Luna (drums), and Dante Zatto (bass). 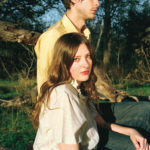 A month ago, Molly Burch unveiled “Wild”, the stunning first single from her sophomore album, First Flower. The song took country-folk-pop from five decades ago and modernized it with a bubbly urgency. Yesterday evening, she quietly unveiled the record’s second single, which is another spectacular retro gem. “I don’t need to scream to get my point across. I don’t need to yell to know that I’m the boss. That is my choice, and this is my voice. We’ll get to hear more of her great voice and commanding style on October 5th, which is when First Flower blooms. Captured Tracks will release it, and pre-orders are available on Bandcamp. SLUGS are so brand new that they have yet to post anything on Instagram and do not have a Twitter account. Well, they’re not that new because they first plied their trade in Rochester before moving to Los Angeles. 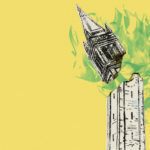 That said, last week, they released their first “proper” single for the world to hear, and anyone who loves an outstandingly written indie-rock track will immediately become a fan. “Bad Twin” is in a word an absolute riot. 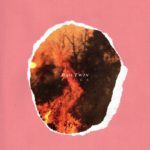 The interplay between front woman Marissa Longstreet’s saccharine but assertive vocals and the flame-throwing alt-rock arrangements is fabulous. On the one hand, you’re swaying your head to her voice yet pounding your first in the air to the music. The song, though, really takes off at the 2:30 mark when Longstreet and her band’s volume and intensity escalate, highlighted by Josh Beavers’ mind-wrecking guitar solo. For every air guitar player out there, this moment is for you. Don’t sleep on Longstreet’s lyrics, though, as she describes what it’s like to be the one who is blamed for everything. We don’t know if she actually has a twin, but we all can empathize with having the pointed finger at us. At the end of the day, though, she’ll eventually have the last laugh because she and her band mates have something extremely awesome going on. SLUGS are Marissa Longstreet (guitar/vocals), Sarsten Noice (bass/vocals), Josh Beavers (lead guitar), and James Longstreet (drums). Their debut EP, Cool World, is due later this year. A young band that cites Radiohead, Slowdive, My Bloody Valentine, and Pink Floyd as influences and has already released two EPs – what is there not to like? The exact ages of Max Connery, Daniel Murray, Andrew Phelan, and Chase Landgrebe may be unknown to us (we think they may be college buddies), but the quartet have some serious talent. 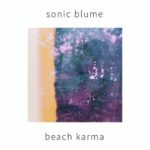 Their second EP (which really is an LP at 9 songs), Beach Karma, is a bit of a kaleidoscope, ranging from scintillating shoegaze to immediate indie-rock to dazzling dream-pop. One of the standout tracks is “All Things You Say”, which is like the brilliant marriage of Alvvays with the Cocteau Twins. Before you press play, get up on your feet because you’ll be bouncing around. The crystalline, shoegaze-y guitars are intoxicating while the punchy rhythms give the song its bopping-around vibe. The airy, fuzzed-out vocals are similarly delightful in the ocean breeze kind of way. You cannot help but move and smile during the song’s 253-second duration. And with season’s final long weekend fast approaching, this tune is a worthy addition to your summer playlist. We’ll be adding it to ours. Listen to Beach Karma in its entirety on Spotify or SoundCloud. It’s been a little while since we’ve heard from Oakland adrenaline inducers SWMRS, whose debut album, Drive North, was an absolute menace (and we say this as a compliment). It seems that Cole Becker, Max Becker, Joseph Armstrong, and Sebastian Mueller are prepping for big things. And no, we’re not talking about their third annual Uncool Halloween Festival, which takes place October 27th at the University of California Theatre in Berkeley (Facebook event info here). Rather maybe a new album is being worked on because last Friday they dropped a firecracker of a new single. The video (link above) illustrates the duality. 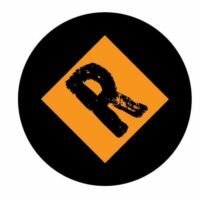 Fueled by Ramen has released this most excellent tune.